The section of rice comes to satisfy a basic need in the diet of any cuisine of the world. 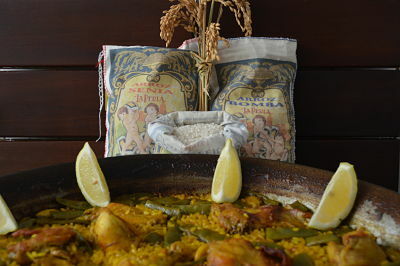 Our goal is to bring the rice of the Albufera of Valencia, one of the best in the world, but not all are equal and here you will find different varieties of rice with different properties for the absorption of flavor and resistance to overcooking. In format of 1 Kg presented in a nice bag of cotton, brought equal that the rice, by a producer local "La Perla" that cultivated the rice in the traditional way. 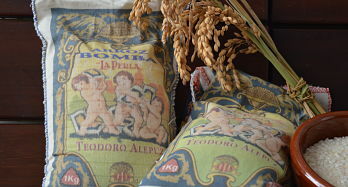 The two varieties that we have at present are the Bomba rice and the Senia rice. 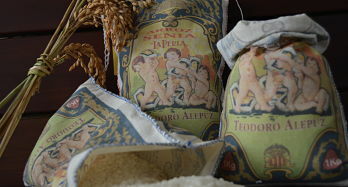 Valencian rices of great quality, traditionally cultivated in the Albufera of Valencia. Rice was introduced to the Iberian peninsula by the Arabs in the 8TH century and today it is very important in the Valencian gastronomy, used among other delicacies, in the Valencian paella internationally renowned; thanks in large part to these rices, because they have certain characteristics that make them different from other types of rice. We hope you enjoy our rice much as we do and use in your recipes, sure that you notice the difference. We assure you a 100% natural product, without intermediaries.